James Comey may have “deviated” from FBI and Justice Department procedures when investigating Hillary Clinton but he didn’t show any signs of political bias. 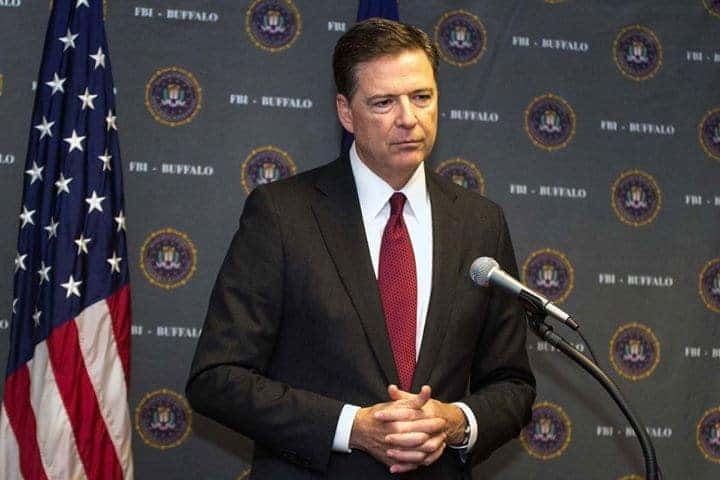 “While we did not find that these decisions were the result of political bias on Comey’s part, we nevertheless concluded that by departing so clearly and dramatically from FBI and department norms, the decisions negatively impacted the perception of the FBI and the department as fair administrators of justice,” Inspector General Michael Horowitz notes. Horowitz’s report investigated Comey and former Attorney General Loretta Lynch’s handling of the investigation which started with Hillary Clinton’s use of a private email server but expanded to touch on other politically sensitive decisions. Trump and his administration were hoping the report would find clear bias on the part of Comey and the FBI, which in turn would be used to show incompetence in terms of the FBI’s handling of the Trump Russia collusion case. Trump has repeatedly claimed that Comey’s investigation into Clinton was “phony and dishonest,” claims that have now been shot down by his own administration. Comey announced the Clinton investigation was being re-opened just days before the general election. The announcement enraged Democrats who didn’t appreciate the timing of his decision. Other information in the report has previously been made public, including anti-Trump texts sent by Peter Strzok and Lisa Page. Mueller moved swiftly to remove Strzok from the inquiry when the text messages were revealed and Page is no longer with the FBI.